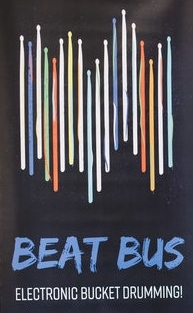 Featuring The Beat Bus providing electric bucket drumming sessions, hand drums and percussion for kids and families to play and more. Don’t forget your drums and noise makers to join in the parade throughout the park too! ALL FREE & OPEN TO THE PUBLIC! Special Thanks to Kadence Arts & The Rose Kennedy Greenway Conservancy for their support. 6:30 pre-concert talk with composers. THIS EVENT IS POSTPONED & WILL BE RESCHEDULED FOR ANOTHER DATE. WE ARE VERY SORRY FOR THE INCONVENIENCE!!! Trio Mokili featuring Makaya McCraven on drumset. Wednesday / October 24, 2018 / 4:30 p.m.
Berklee College of Music Professor, Terri Lyne Carrington is a world renowned, three-time Grammy winning drummer, composer, and bandleader who has toured with music luminaries (and Berklee honorary Doctor of Music degree recipients) such as Herbie Hancock, Wayne Shorter, Al Jarreau, Dianne Reeves, and Clark Terry. She is Zildjian chair in performance with the Berklee Global Jazz Institute. Carrington’s extensive recording career includes several albums released as bandleader, including The Mosaic Project, for which she won a Grammy for Best Vocal Jazz Album, and Money Jungle: Provocative in Blue, for which she won a Grammy for Best Jazz Instrumental Album—becoming the first woman ever to win a Grammy in this category. Her recording credits include work with Carlos Santana, John Scofield, Terence Blanchard, George Duke, Nancy Wilson, Esperanza Spalding, and Geri Allen, among many others. The Berklee Global Jazz Institute is an honors performance program designed to foster creativity and musicianship through various musical disciplines, with pianist and composer Danilo Pérez as its artistic director. 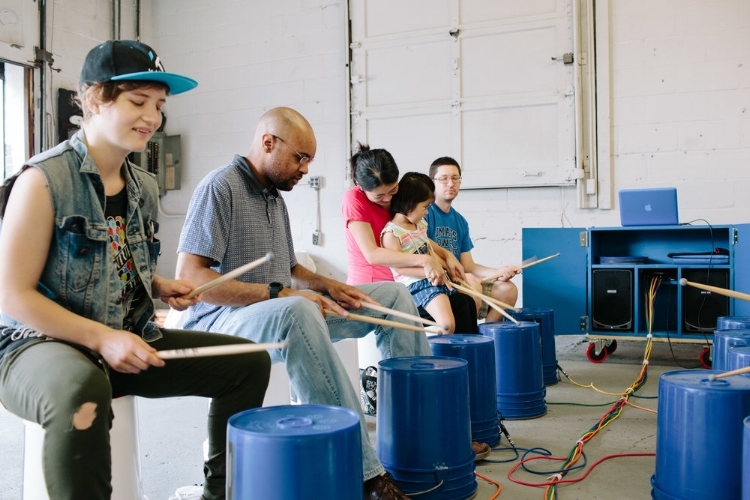 The BGJI provides a comprehensive contemporary music environment in which students are given opportunities to explore their creativity to the highest level possible, advance the power of music as a tool for the betterment of society, and connect musical/creative thinking with the natural environment. Wed. Oct. 24 - Sun. Oct. 28, 2018. 33 Union Street, 3rd Floor. Nicole DiNardo: An artist living in Toronto, Canada who reveres art from the past; from the Renaissance to 20th century revolutionaries, yet also inspired by contemporary artworks. Food and health are other passions and she challenge herself with finding ways to incorporate art and food in various ways. Nicole paints unique portraits on used beaten and battered drum skins as her canvases. This will be her Boston exhibit debut. Nicole will also be working with kids and school programs to paint drum skins with children in addition to exhibiting and painting drum portraits while in Boston as well. The Boston Percussive Arts Festival brings rhythms to Boston. A range of ticketed and free events including concert performances, educational seminars for all skill levels, documentary screenings, paneled percussion discussions, musician clinics, drum circles, percussion parade, instrument making workshops, music production, electronic beat-making workshops, drum art exhibit, and more. Happening Oct. 24 - Dec. 24, 2018 at various venues throughout Boston. HUGE THANKS to Sweet Rickey for the exhibit space too!